The Price Pfister Cadenza Kitchen Collection is a timeless design artfully reflected in its unique curvature and eclectic high-arc figures. Cultivating luxury and durability with an old-meets-contemporary European style, the Cadenza Collection makes a dramatic centerpiece for any traditional kitchen setting. 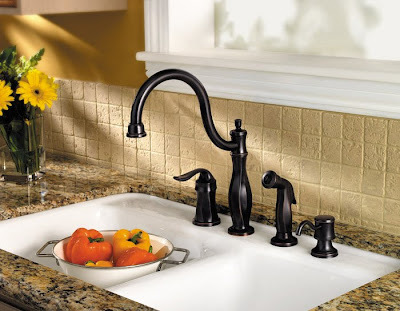 Price Pfister 4-Hole, High-Arc kitchen faucet with side spray and soap dispenser.